We offer a comprehensive will writing service in Southampton and all other towns and villages in Hampshire. You may be pleasantly surprised just how easy it is to draft a will online, and you will also appreciate our step-by-step guidelines which makes it easy for you to create a comprehensive fully legal last will and testament to suit your own personal circumstances. 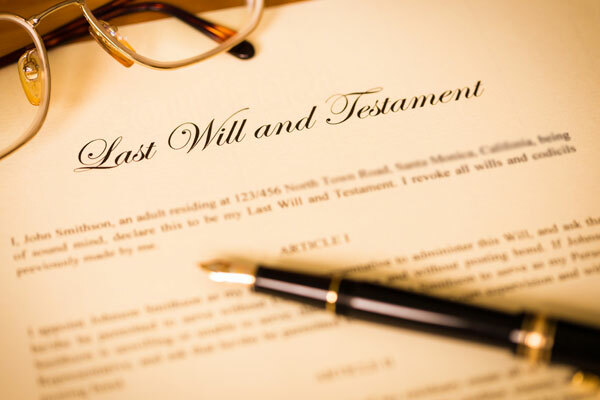 You probably realise that if you do not have a will to ensure that your wishes are carried out after you die, the state may assign your estate in ways that you would not wish. For example if you have children and you die without a will, there may well be some uncertainty about who will look after and provide for your children with social workers often deciding what they feels is best. Similarly if you live with someone yet are not married, your partner may receive nothing. These are just two examples that show that you need to make a will, and that you need to make sure your will is fully legal. Creating a will really doesn't take long at all, with the clue being in our name - so yes you really can have a quick will within ten minutes of starting it. You will be very surprised just how little it will cost you to have a fully comprehensive personalised will too. Our easy to follow online will writing questionnaire makes the wills and probate process very quick and very easy for you. You simply answer a series of straightforward questions and the software will create you your own last will and testament, all in the comfort of your own home. Our online will writing software guides you through the process step-by-step in plain English whcih menas there is no need for you to visit a stuffy solicitors' office. You can take as little time or as long as you need - you are not on the clock. If you do need any assistance, we have a freephone telephone number to enable you to talk to our professional and helpful will writing experts who have many years experience in drafting and creating wills and that is why we feel we are possibly the best will writing service in Southampton. People think nothing of spending money on life insurance, but they would be much better off with spending a little on creating a will. Whatever your age, you need a will to protect the interests of your loved ones, and to ensure that your possessions are left to the people you love. Without a will in place you could well cause your family unnecessary hardship, anxiety and costly legal bills if there is any confusion or dispute after your die. Having your will drafted by our expert software will minimise any stress and anxiety and help you protect your family’s interests for the future, making sure that you pay the minimum amount of tax and making sure your loved ones will receive as much of the money as possible. Making a will online with us means that you can ensure that just the people you have chosen benefit from your estate. You can also provide for friends and family members and leave gifts that either have a sentimental value like jewellery, or have a practical value like tools. You can choose to leave either money or a percentage of your estate to a charity or other organisations. All in all, using our online will writing tool is a very good idea that will lead to true peace of mind for you. Making a will online with us is easy, so if you need a will writer in Southampton, Quick Will are here to help.